De Boschplaat, Netherlands. Photo by Wim Schmidt. The countries of Western Europe are among the most light polluted in the world. The Netherlands leads these countries with a relatively small size, a large population density and the tendency to light outdoor spaces to high levels. Yet, in some Dutch cities there remain a few places that are dark nighttime refuges for people and wildlife. One of these protected places, on an island in the North Sea, permits no electric lighting anywhere and serves as an important stopover for European migratory bird species on their way to and from wintering grounds in West Africa. IDA now recognizes this preserve, De Boschplaat, as an International Dark Sky Park. 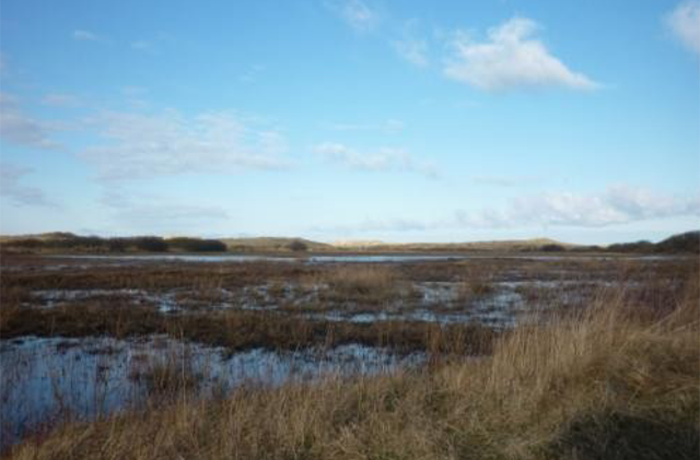 De Boschplaat, a 40 square kilometer area the eastern side of the island of Terschelling, is a “Natura 2000” Nature Reserve recognized by the European Council. It is locally managed by the conservation agency Staatsbosbeheer. Except when areas in the preserve are closed for conservation purposes, the public has unrestricted access to the entire property at all times, and eight locations within the park have been specially designated for nighttime visitors to view the stars. The City of Leeuwarden, on the Dutch mainland, will serve as the European Capital of Culture in 2018. Its status represents a great opportunity to bring new visitors to the island and expose them to importance of protecting dark skies across Europe.